Seoul, Jan 24: North Korea’s head Kim Jong Un expressed ‘great satisfaction’ after a letter from US president Donald Trump before a second summit between these two leaders. Pyongyang’s state media officially reported this satisfaction. For this summit, according to an official statement, Kim is making ‘good technical preparations’. The letter was handed to Kim by vice chairman Kim Yong Chol, who met Trump at the White House last week. In this meeting, both countries discuss seeking a denuclearization accord that could ease decades of hostility. According to reports of KCNA, Kim spoke highly of President Trump for expressing his unusual determination and will for the settlement of the issue with a great interest in the 2nd DPRK-US summit. Trump stated on Saturday that a location for the summit has been decided, but didn’t give any more details. Vietnamese government stated that logistical preparations were underway to host the encounter. This meeting will most likely hold in the capital Hanoi or coastal city of Danang. Official statement of White House confirmed that the summit will go ahead in February. 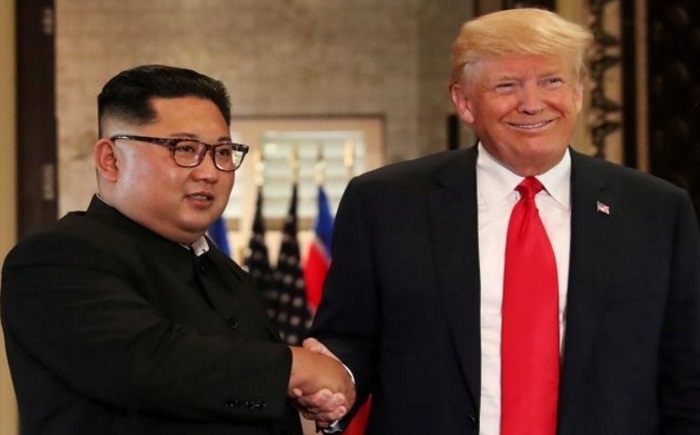 Kim Jong and Trump met in June in Singapore, where the signed document in which North Korea urged for ‘denuclearization of the Korean Peninsula’. This document was criticized for vagueness. Washington expects from Pyongyang to give up its nuclear weaponry which built by Kim dynasty despite sanctions and nationwide famines.